Add a complete and elegant touch to your persona with this stunning footwear. In vibrant shade of red, these trendy flats are sure to be very relaxing on your feet and the T-shaped strapthat gives great support. The TPR sole ensures that you get a good grip as you walk on any surface. 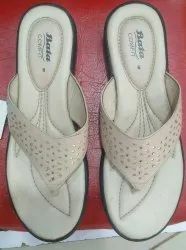 We are offering bata ladies slippers to our clients. 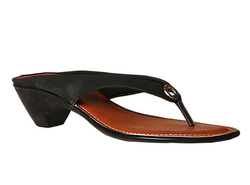 Wear your charming smile along with these lovely chappals and be ready to look like a star. With purple coloured strap, this pretty slip-on is created from synthetic which is sure to be gentle on your skin. The TPR sole ensures that you get perfect grip on any surface you walk.